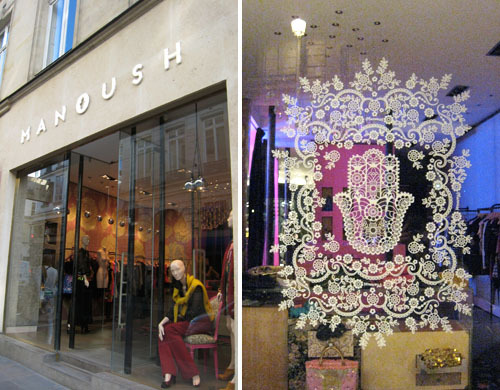 Manoush was one of my favorite shops in Paris. 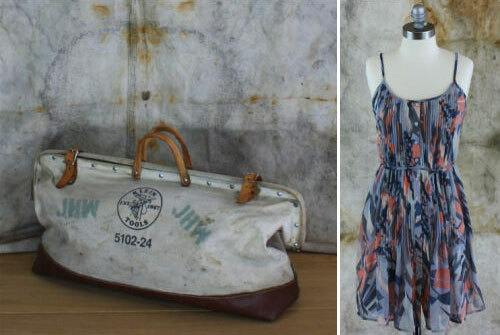 It is a young French label with an eclectic vintage style that is both sophisticated and cool. The brand’s name comes from the French word for gypsy, so it follows that these gorgeous pieces have a whimsical, bohemian edge. The entire store was pure eye candy, an oasis of bright colors, frills, lace and gold. The garments were adorned with pom-poms, fringes, gold trims, quirky embellishments and cheerfully vibrant patterns. Striking images from Ateliers Ruby promoting their flagship boutique in Paris that features limited editions, art editions and one-of-a-kind helmets. The top image reminded me of this image (below) of Yoanna House, America’s Next Top Model Cycle 2 winner. Of a Kind introduces new designers through a unique combination of storytelling and small-batch exclusives. 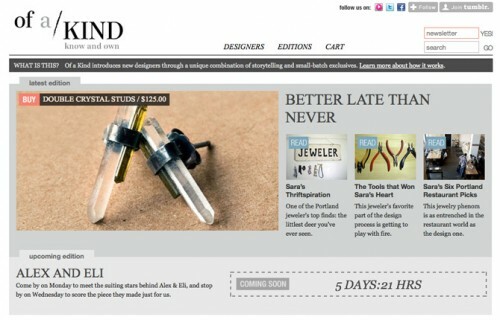 Each week, they select one designer to feature on the site along with an exclusive limited-edition piece by the designer. 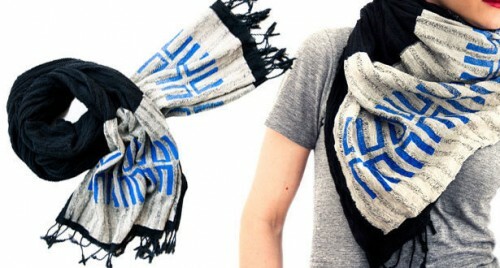 Some of my favorite items from the site below: parker scarf, fadeout necklace and blue hex scarf. 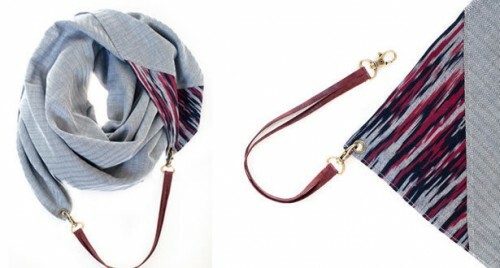 I seriously want the parker scarf which geniusly can morph into a bag. Tags: fadeout necklace, fancy seeing you here, fancyseeingyouhere, limited-edition design, of a kind, parker scarf, sarah hanks, Sarah Hanks Ltd.
New to me (thanks Hadiya,) Spool no.72 has a gorgeous selection of bohemian clothing and accessories inspired by rural American lifestyle and the prints and patina of the past. Effortless-looking style. 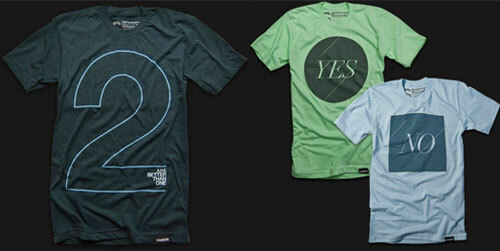 From the PANTONE site: Are you a Dynamic Firecracker? Or more of a Spiritual Lavender? 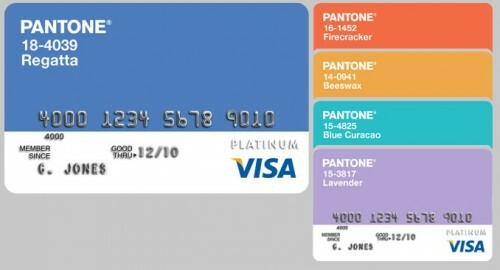 The PANTONE Visa Platinum Rewards Card comes in five exciting hues, selected from the PANTONE Fashion Color Report for Spring 2011. One of these colorful cards is bound to express your Inner Shopper! Tags: fancy seeing you here, fancyseeingyouhere, pantone, pantone visa cards, sarah hanks, Sarah Hanks Ltd. 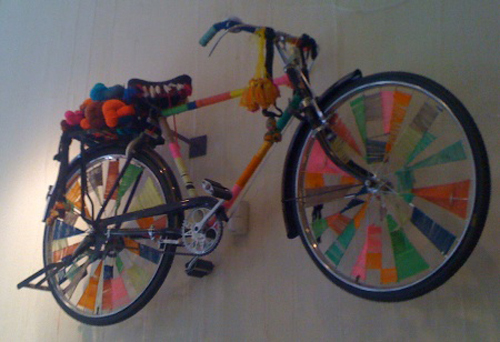 The summer display at the Free People store in Tysons Corner features about six custom bicycles hanging on the walls. 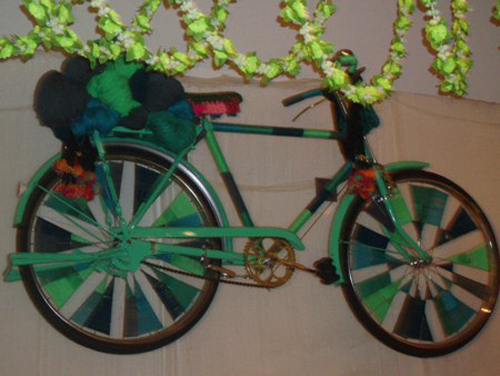 All of the bikes are completely unique featuring different materials, colors & styles all very fun and whimsical. 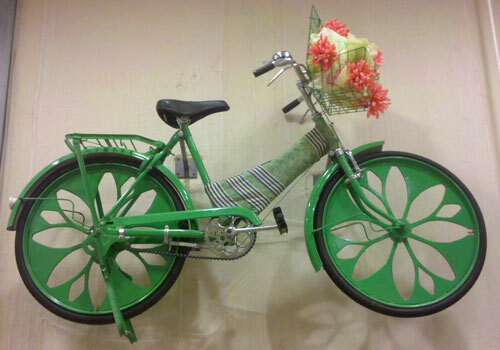 I’d love to ride around Bethesda on this green one—how cool are those flower wheels? I was only able to snap the picture above before I was told that I wasn’t allowed to take pictures. I found the two pictures below on the Free People blog and I am pretty sure there were in the store as well. If you get a chance to visit the store it always has a great display, very inspiring. Tags: bicycles, custom bicycles, fancy seeing you here, fancyseeingyouhere, free people, free people bicycles, free people blog, San Francisco, Sarah Hanks Ltd. 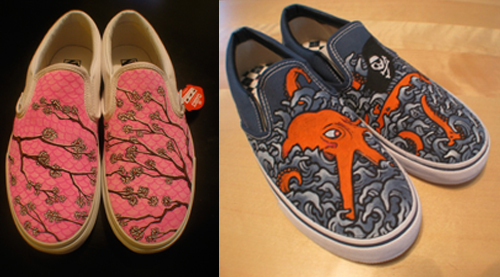 This weekend I saw a great display of custom vans in the Vans store featuring artist Tony Price. 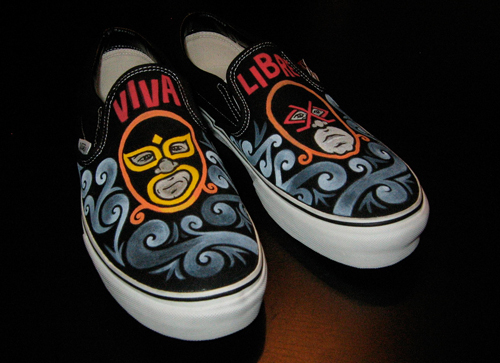 I had ordered a custom pair of lucha vans (shown above) from Tony a little over a year ago. It was a simple process; I gave him the lucha concept and some image references and let him run from there. My favorite part of the final product is the eyes on the back side of the shoes. AND let me just say that the person that I gifted these rad shoes to was in love with them. Tony has a great illustration style and was a real pleasure to work with. Check out more of Tony’s custom shoe work here and order your very own pair here. This weekend I visited a new store opening, Ugmonk. They offer simple, well-designed cotton t-shirts, and they display them in the most shocking t-shirt shop display you have never seen! 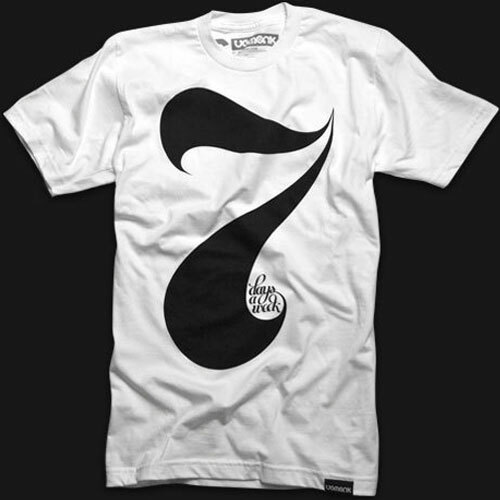 I love their loose fitting cut and care-free designs, I think 7 days a week is my favorite because that 7 is just beautiful, I could really wear that shirt anywhere. And I wish I was wearing the No shirt today…it’s just one of those days. 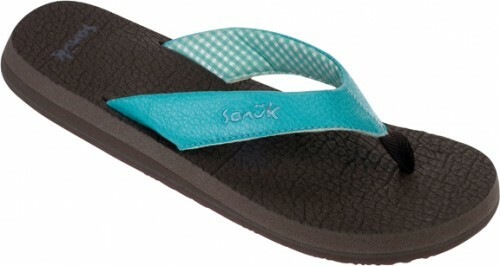 Just had to share the most comfortable flip flop EVER; Sanuk’s yoga mat sandal. I discovered these in Key West and have since bought an additional pair! And don’t worry they have a men’s version, the beer cozy sandal. On Saturday I spent the first part of the day thrifting with my friend Alison. We started in Georgetown with visits to Annie Creamcheese and Second Time Around. 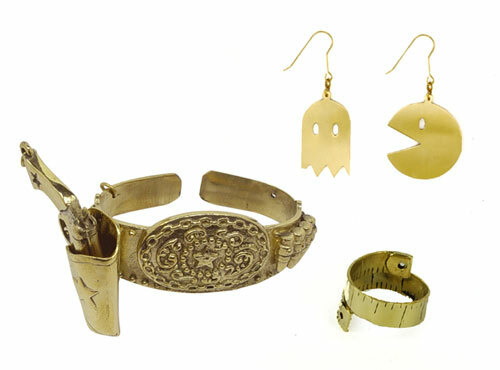 In Annie Creamcheese there was some really unique jewelry by Monserat de Lucca (Some of our favorites shown above: Western Bracelet, Pac Man Earrings, Measuring Tape Ring.) 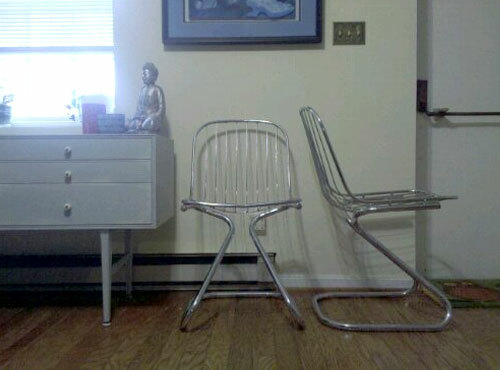 Our final stop for the day was Unique Thrift Store in Falls Church, VA where we found these fabulous steel chairs for $10 a piece (sorry for the bad phone picture). They are actually more comfortable than you would think AND in great condition. I can’t wait to make some cute cushions for them. I’m disappointed that I wasn’t able to find a suitcase for the vintage suitcase cat bed that I want to make…I guess that will have to wait til next time. You are currently browsing the archives for the Shopping category.